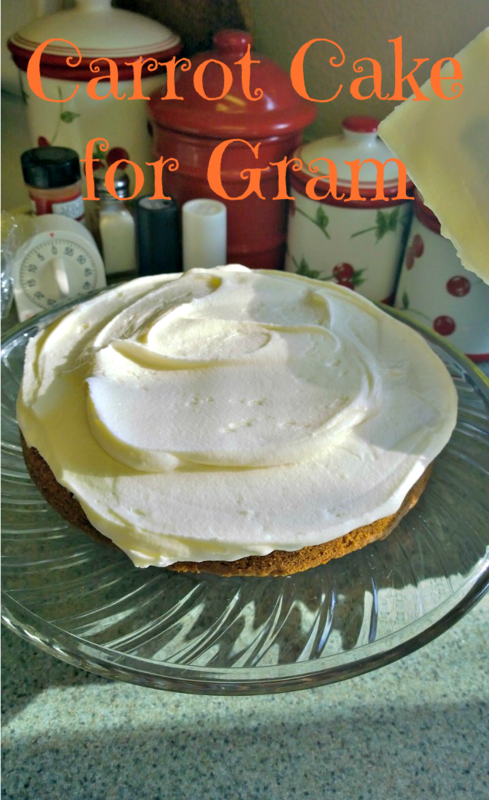 Quick Post: I had leftover Oreos and cream cheese, and lucky me – I found the perfect recipe! 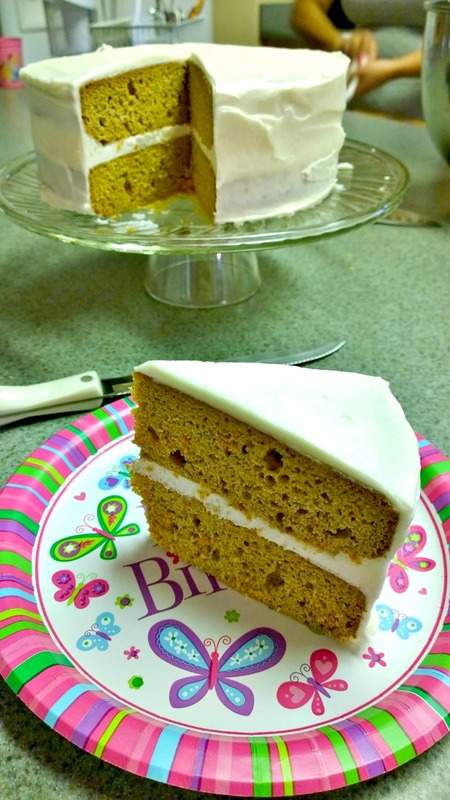 Plan ahead for this one because the batter needs to sit in the refrigerator to set. Thanks for reading, enjoy! Preheat oven to 325 degrees. Mix the flour and baking soda in a bowl and set aside. 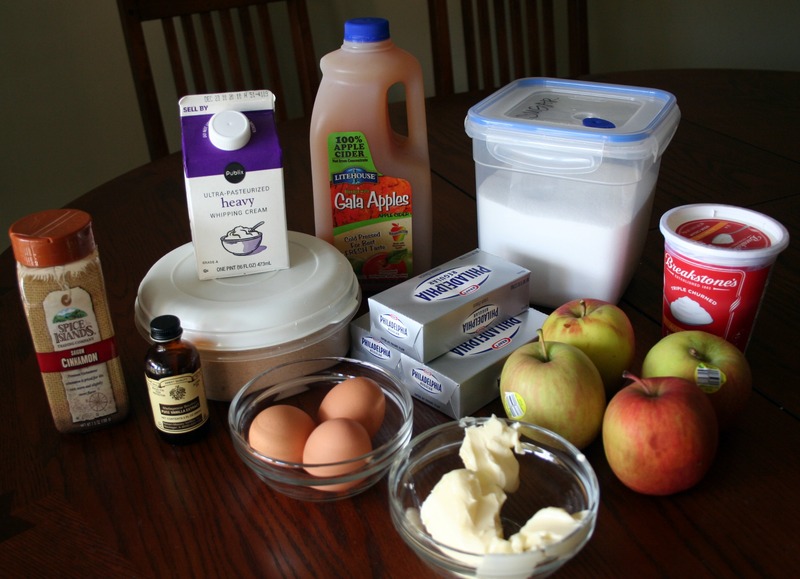 With an electric mixer or stand mixer with a paddle attachment, cream the butter, cream cheese, and sugars together. Add the egg, egg yolk, and vanilla and mix well. Gradually add the flour mixture and stir until a dough forms (may take a couple minutes of stirring). 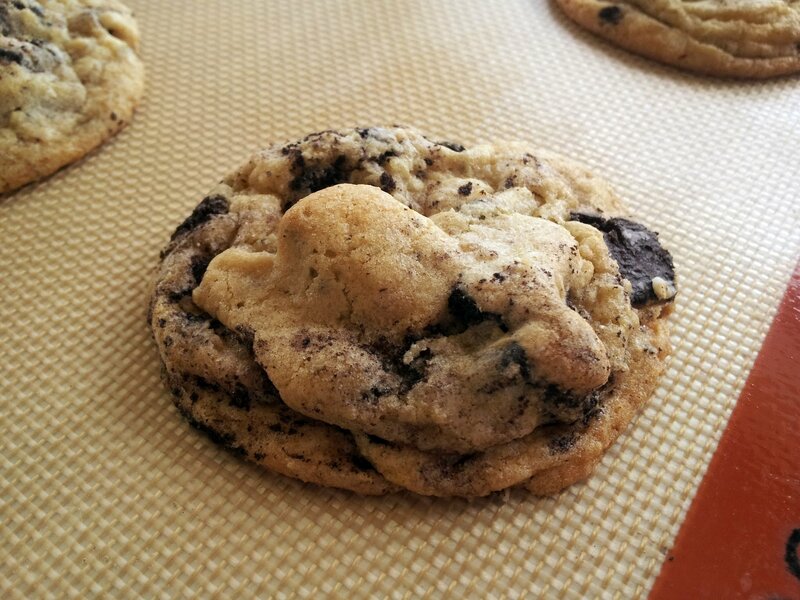 Fold in the crushed Oreos. Chill dough for at least 1 hour or up to 5 days in the refrigerator. Measure 24 2-Tablespoons worth of dough. The cookies are rather large, but if you’d like them smaller, make each dough ball only 1 Tablespoon. Drop dough onto silpat or ungreased baking sheet. Make sure the balls of dough are tall. Do not flatten them. Bake for 8-11 minutes or until edges are slightly browned. The centers should appear soft and puffy. Let cool completely and enjoy! Quick Post: These were so good! 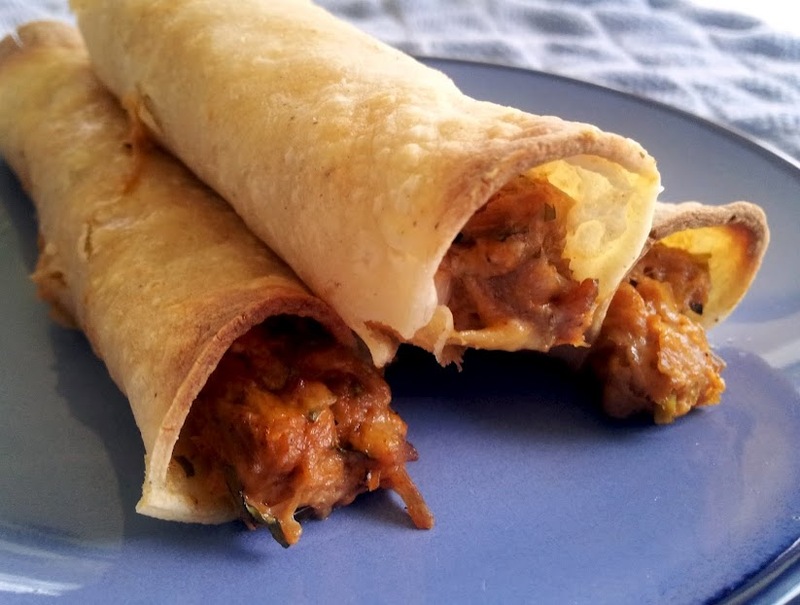 I have made the recipe that these taquitos were inspired by, and those are amazing too. We all really enjoyed these, and my husband didn’t even mind/notice that there were some things in these he would normally pass on. The flavor compliment each other really well and all my modifications are listed below. Thanks for reading, enjoy! Preheat the oven to 425 degrees and spray a baking sheet with cooking spray. In a large bowl, combine the cream cheese with the bbq sauce, paprika, garlic powder, mustard, brown sugar, chile powder, red pepper flakes, cilantro, scallions, and 1/4 tsp kosher salt. Fold in the pork and cheese. Taste and season with additional salt and pepper if necessary. Working 3-4 tortillas at a time, stack them on a microwave-safe plate and cover with a damp paper towel. Cook 30 seconds, or until tortillas are soft and pliable.Spoon 2-3 tablespoons of filling onto the lower third of each tortilla, and roll tightly. Place seam side-down on the prepared baking sheet. 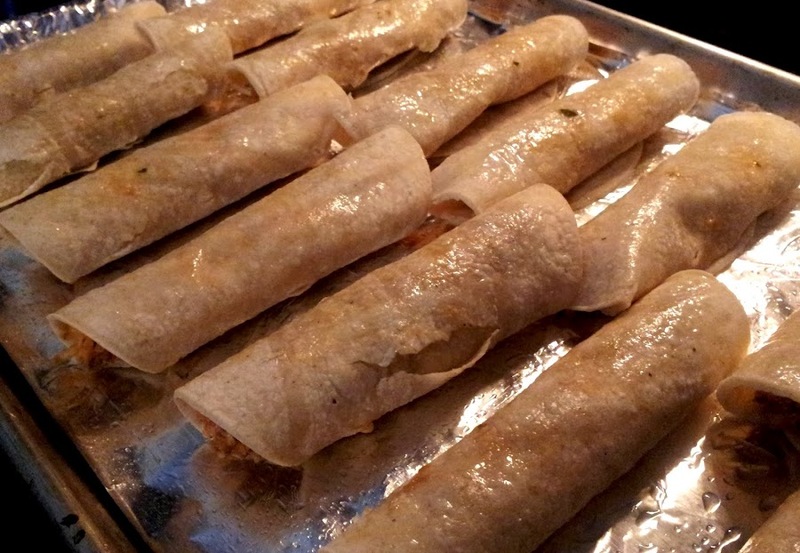 Repeat with remaining tortillas and filling.Brush the taquitos lightly with canola oil, sprinkle with salt. Bake 15-20 minutes, or until the tortillas are crisp and golden-brown. Serve with bbq sauce and ranch dressing for dipping. Quick Post: I came across this recipe today, not even looking for something like this at all. The picture on the blog sold me on the idea. 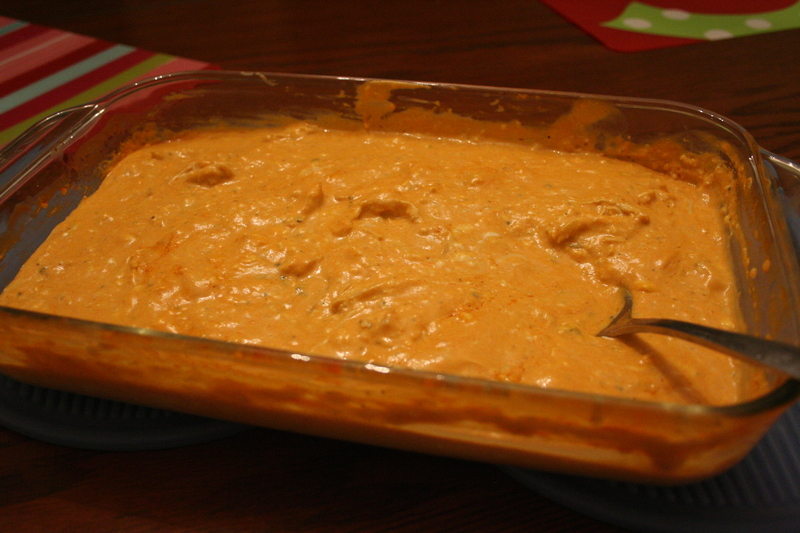 My family loves shrimp, tomato cream sauces, and lots of cheese so why not? Shrimp was on sale – thankfully it was the easy peel kind! Thanks for reading, enjoy! 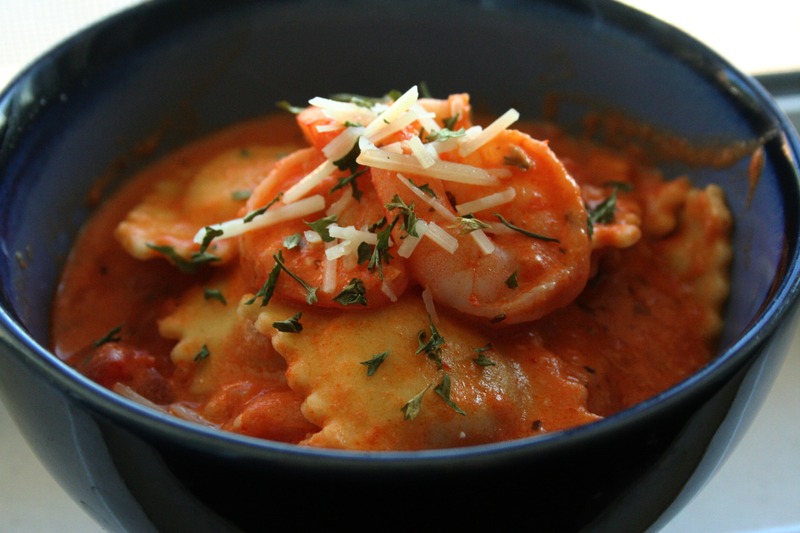 Start a large pot of boiling, salted water for ravioli.In a medium sauce pan, add prepared tomato sauce and vodka and simmer over medium-low heat until the mixture reduces by 1/4, stirring often, about 20 minutes. Meanwhile, heat a saute pan over medium heat and add 1 tablespoon butter and two tablespoons canola oil. Allow butter to melt and stop foaming, do not brown. Toss the shrimp with lemon pepper seasoning and add to the pan, in a single layer. Sear shrimp for 1 minute, then flip and continue for 1 minute more. Remove to a plate; set aside. 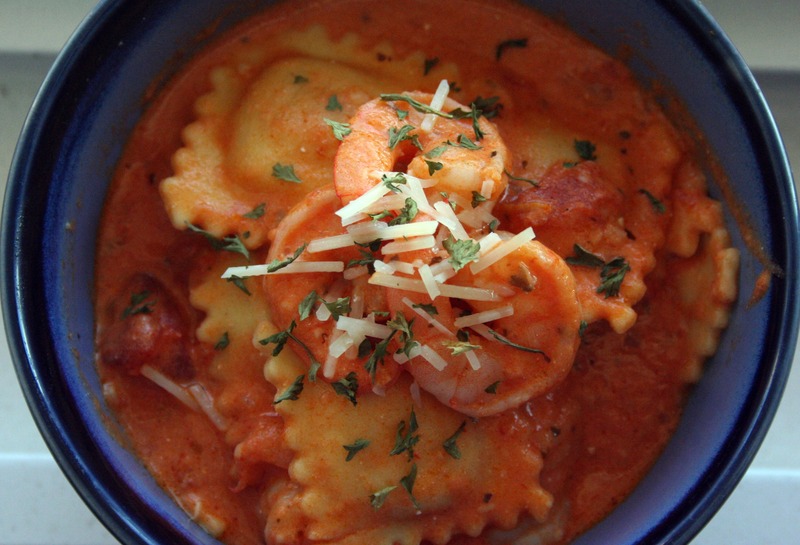 While shrimp are cooking, add ravioli to boiling water and cook for about 8 minutes. Drain well. Once the shrimp are cooked, add the shallots and garlic and saute until fragrant. Add broth to deglaze the pan and simmer for 1 minute until slightly reduced. Add cream cheese to the deglazed pan; cook over medium heat and whisk until smooth and melted. Stir in the tomato sauce until well combined. Remove from heat and whisk in parmesan cheese until well blended. (If sauce is too thick, begin whisking in hot pasta water until desired consistency is reached: sauce should coat the back of a spoon) Stir in chopped parsley. Add shrimp and ravioli and toss to coat. Serve warm with hot garlic bread and salad. 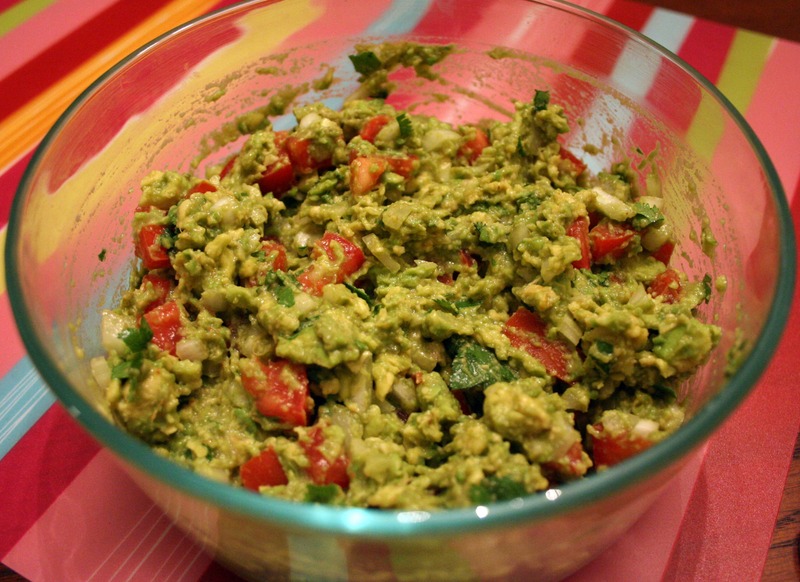 Quick Post: I don’t care much for football, but I do like making appetizers! Thanks for reading, enjoy! 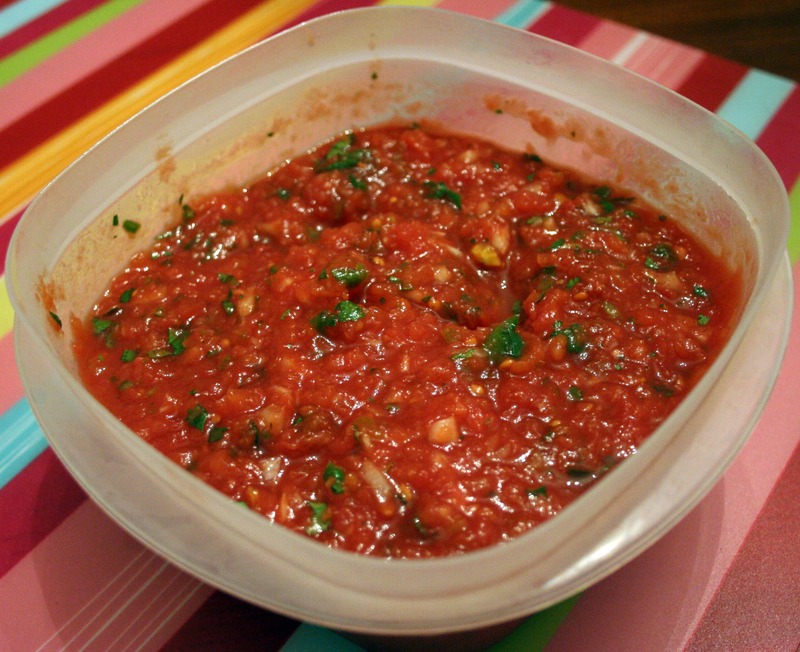 Combine whole tomatoes, Rotel, onion, jalapeno, garlic, sugar, salt, cumin, lime juice, and cilantro in a blender or food processor. Pulse until you get the salsa to the consistency you’d like—I do about 10 to 15 pulses. 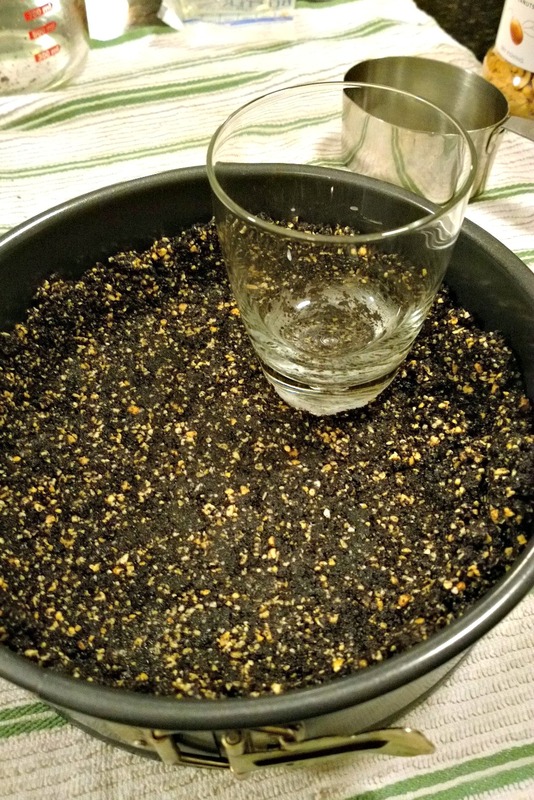 Test seasonings with a tortilla chip and adjust as needed. I know this looks gross, but I assure you – if you love blue cheese you’ll love the taste of this! Preheat oven to 350. 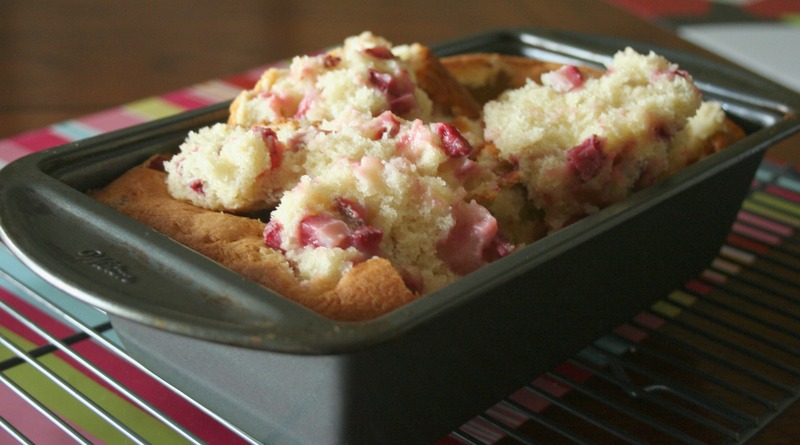 Combine all ingredients in a 8×8 inch baking dish, cover with foil and bake for 20 minutes. Serve with celery sticks. Is this cheesecake ever good! I made it for the first time last year while visiting family in California. My dad requested this cheesecake specifically and I was apprehensive at first because at that time I had only made a cheesecake once. I am usually nervous about cooking for other people, but I wanted to impress him and everyone else who tried it. To my delight, my dad said it was the best cheesecake he ever had and even my Grandma said it was good…huge compliment in my book! 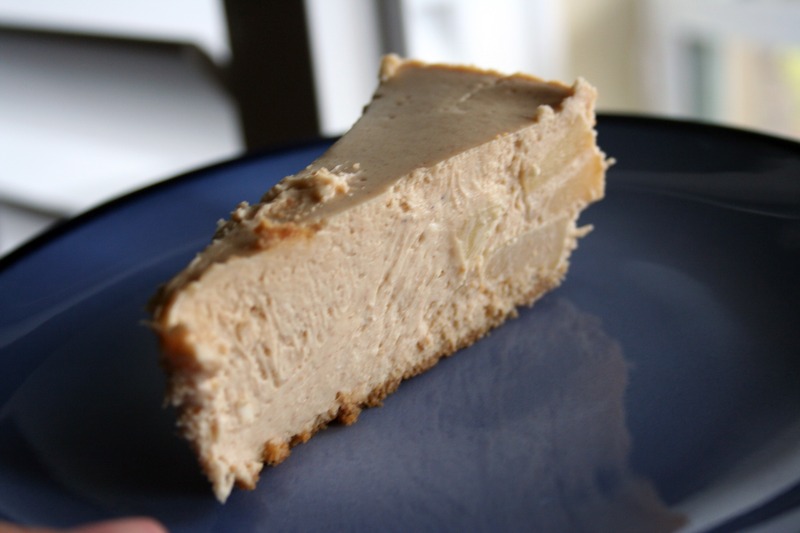 Anyway, this cheesecake isn’t exactly a quick dessert and it is really important that you let it sit in the refrigerator overnight for the best flavor…your patience will be rewarded! Note to self – more apples next time. I ended up only using three of the four apples pictured because I thought three looked like enough when they were all cut up. 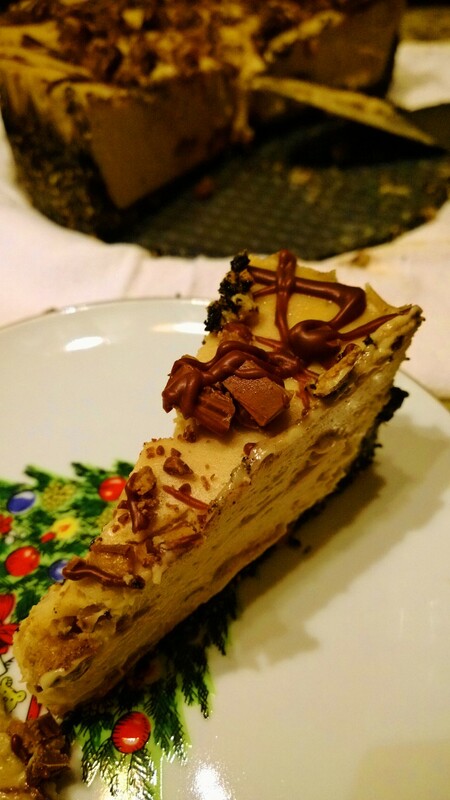 M is requesting some type of chocolate infused cheesecake for Thanksgiving, so if that ends up happening I will be sure to post that one for you all. 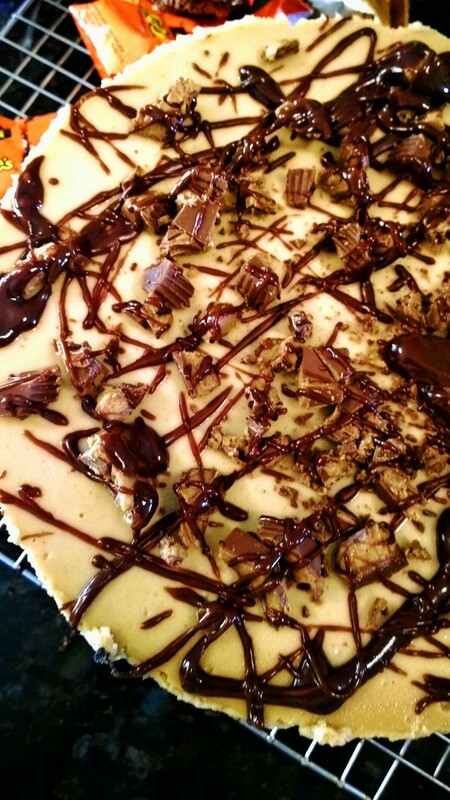 Also, if any of you out there has a tested cheesecake recipe recommendation, please leave me a comment! It’s always hard to choose new recipes – especially a chocolate cheesecake…there are so many to look through! Thanks for reading, enjoy! To Make the Crust: Butter the bottom and sides of a 10-inch springform pan. To Make the Apples: Melt 2 tablespoons of the butter in a large nonstick skillet over medium-high heat. When the foam subsides, toss in half of the apple slices and cook, turning once, until they are golden brown, about 3 minutes. Sprinkle the apples with 1 tablespoon of the sugar and cook them, turning, just until coated, another minute or so. Scrape the apples onto a plate, wipe out the skillet and repeat with the remaining apples. Let the apples cool while you make the filling. Getting Ready to Bake: Have a roasting pan large enough to hold the springform pan at hand. Put a kettle of water on to boil. 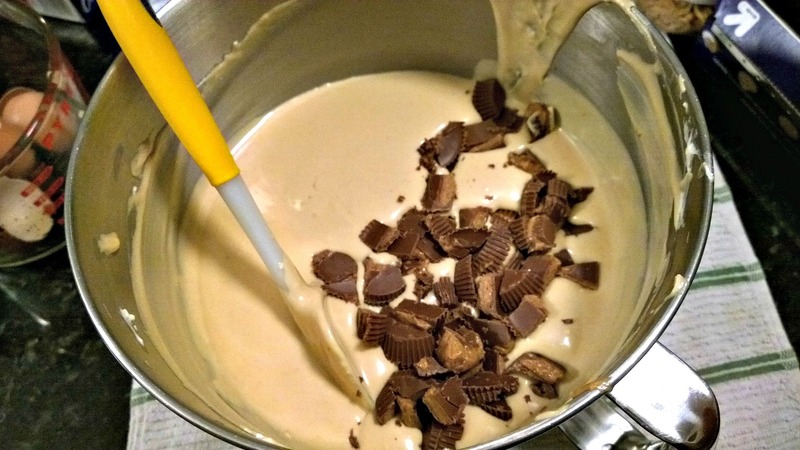 To Make the Filling: Working with a stand mixer, preferably fitted with a paddle attachment, or with a hand mixer in a large bowl, beat the cream cheese on medium speed, scraping down the bowl often, for about 4 minutes, or until it is velvety smooth. Add the sugars and beat for another 2 minutes. Beat in the cider, vanilla, and cinnamon. Reduce the speed to low and beat in the eggs one by one, beating for 1 minute after each egg goes in. Finally, beat in the sour cream and heavy cream, beating just until the batter is smooth. 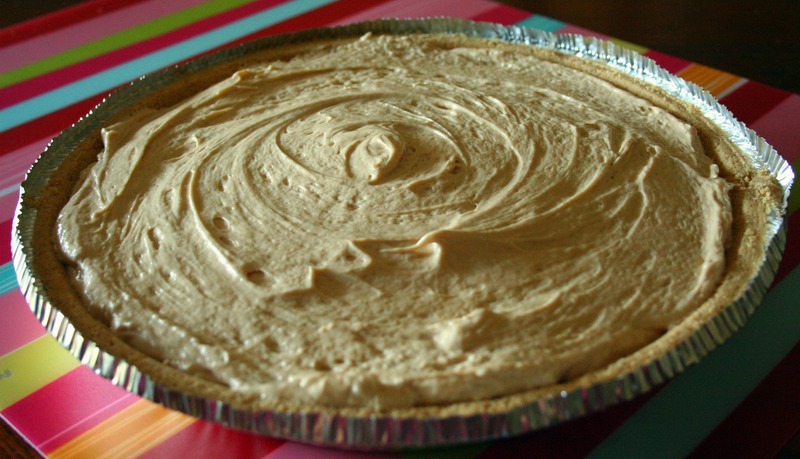 Pour about one-third of the batter into the baked crust. Drain the apples by lifting them off the plate with a slotted spoon or spatula, and spoon them into the pan. Cover with the remaining batter and, if needed, jiggle the pan to even the top. Place the springform pan in the roasting pan and pour in enough boiling water to come halfway up the sides of the springform pan. 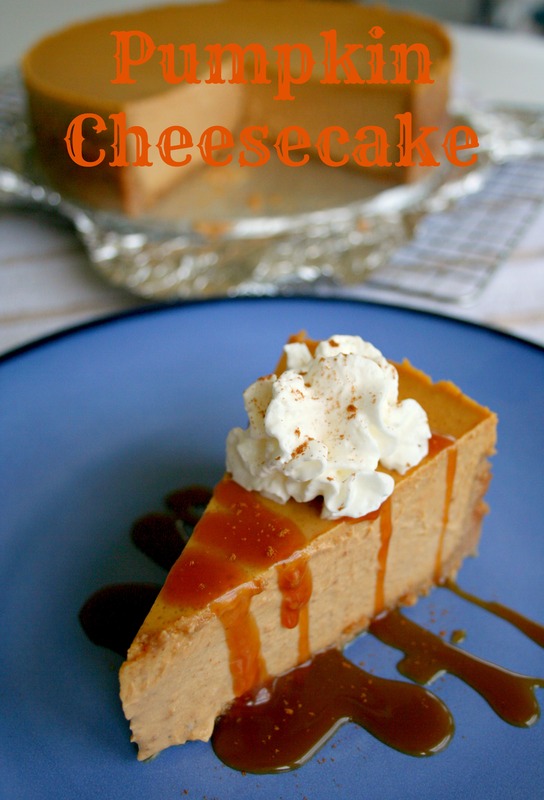 Bake the cheesecake for 1 hour and 30 to 45 minutes, covering the cake loosely with a foil tent at the 45-minute mark. The cake will rise evenly and crack around the edges, and it should be fully set except, possibly, in the very center if the center shimmies, that’s just fine. 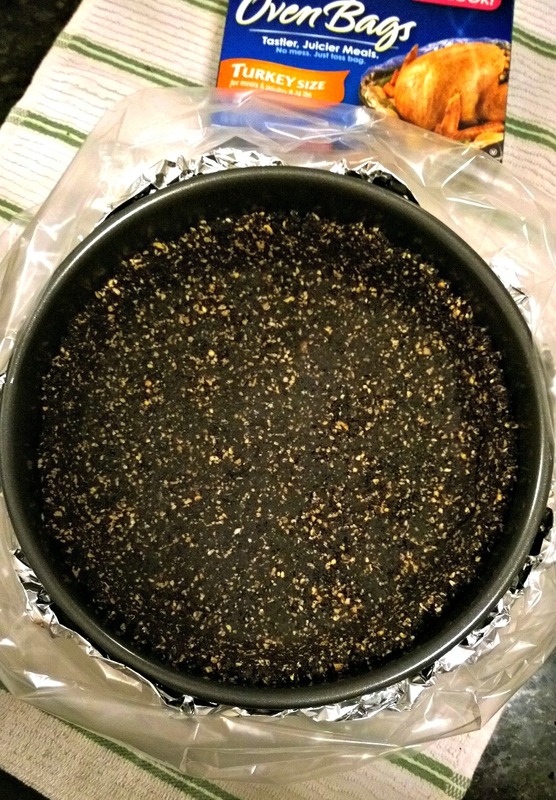 Gently transfer the cake, still in the pan, to a cooling rack and let it cool to room temperature, then refrigerate it for at least 6 hours; overnight would be better.